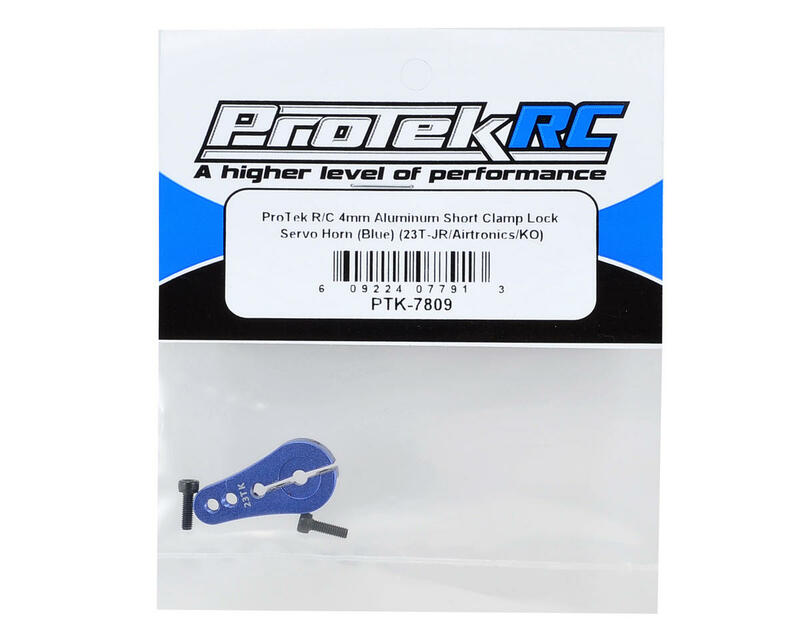 This is a ProTek R/C 4mm Aluminum Short Clamp Lock Servo Horn, and is intended for use with any servo that uses a 23 tooth spline output shaft. This extremely tough servo-horn has been machined from a solid block of aluminum for incredible precision, rigidity and durability. 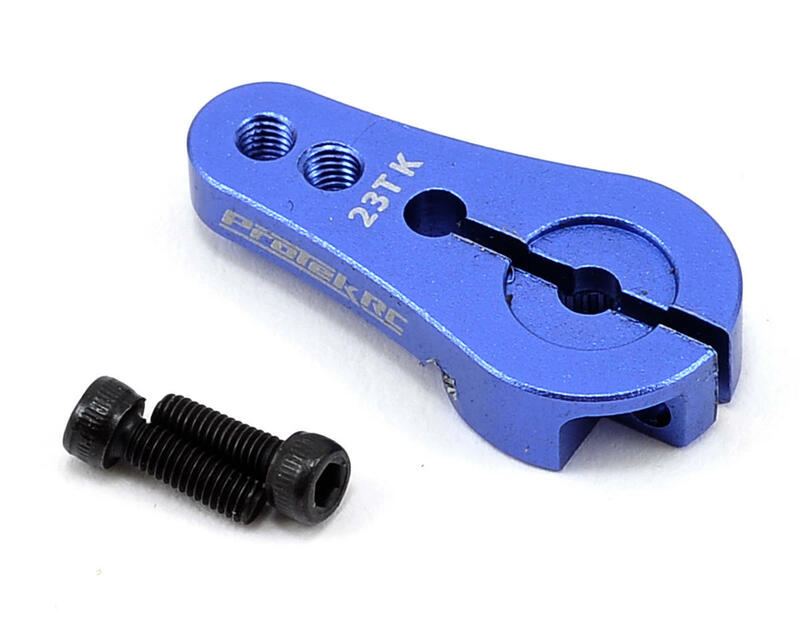 This horn features a clamp type design that grips the servo’s output shaft with enough force that even if the retainer screw comes loose, the horn will remain in place, increasing your chances of finishing the race! Additionally, the arm is 4mm thick for durability, has 15mm and 19mm hole spacing and uses 3mm hardware to suit the geometry and hardware requirements of most vehicles.